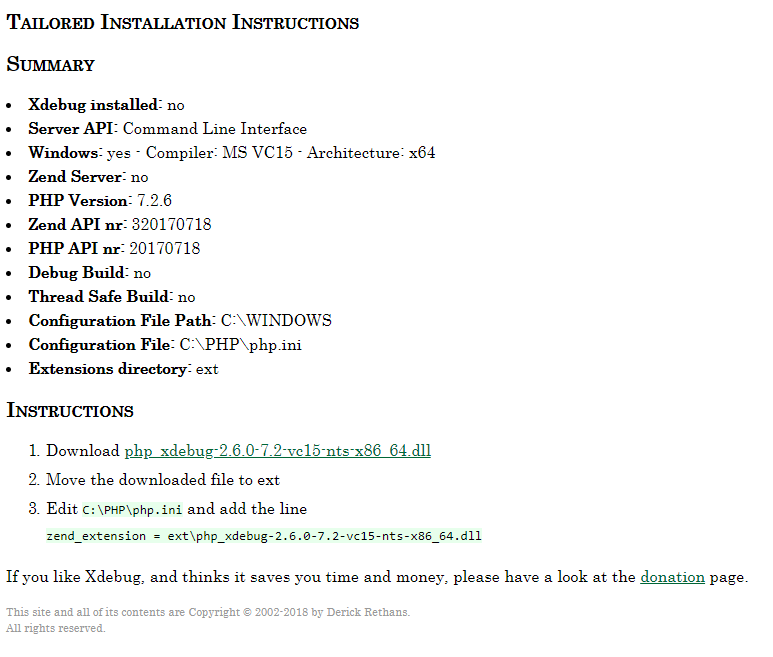 This article will show you step by step how to install and use Xdebug on Windows. Makes development easier by allowing the developer to debug his code in a simple and quick way. In this tutorial, we will be installing Xdebug on Windows 10, the steps are similar for any Windows version. You must have PHP installed on your system. 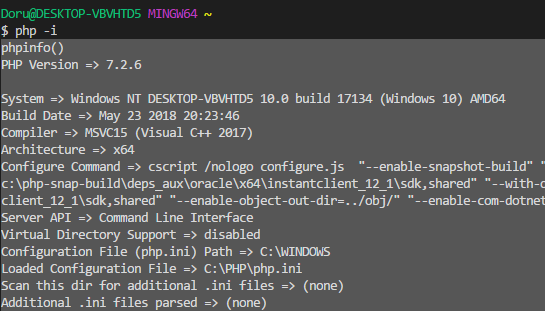 Copy the output of that command and paste it in the Xdebug Wizard. 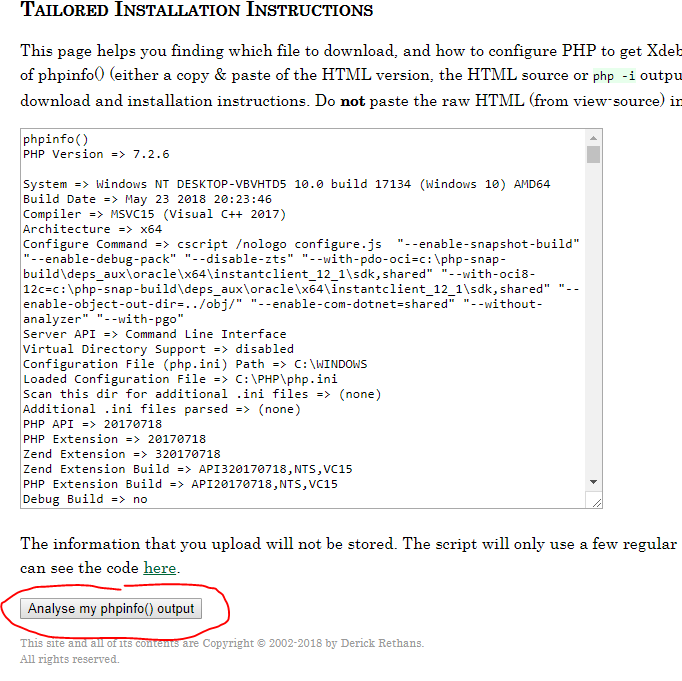 Then click Analyze my phpinfo() output. 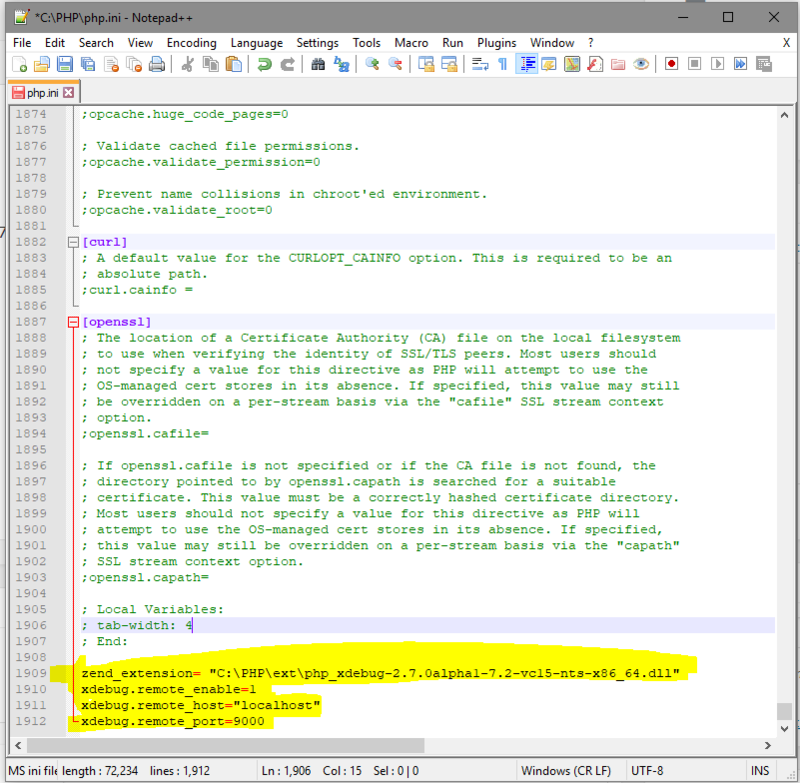 Once analyzed, the result will tell if you have Xdebug installed or not, and which .dll file to download. Move the downloaded file to the /ext folder. This is the folder where PHP keeps all of its extensions and can be found under the folder where you have installed PHP. On mine, it is located in C:\PHP\ext. Open php.ini file in an editor like Notepad, Notepad++ or Visual Code. This file is located within the folder where you installed PHP, C:\PHP\php.ini for me. The line that says ‘with Xdebug v2.7.0alpha1’ confirms that it has been installed correctly.